The project holds regular Innovation Platforms where stakeholders come together and discuss problems farmers are facing. 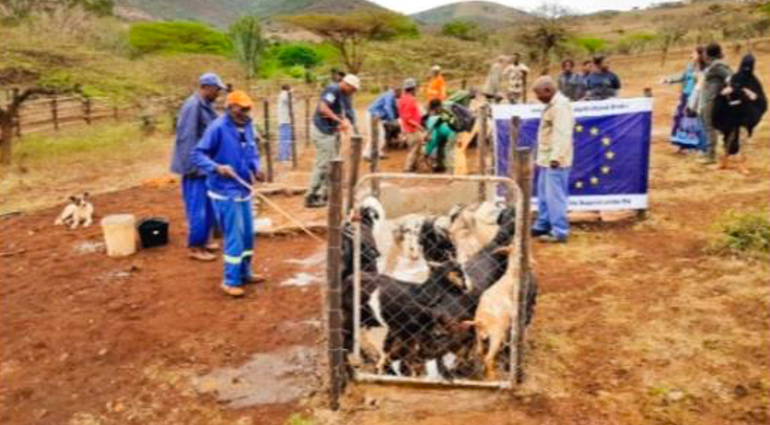 A community research platform showcased a diptank specifically for goats that had been adapted in various ways to work for communal goat farmers. The Jozini Project farmers took from this the ideas to try out in the Jozini project area. Two goat dip tanks have been built and are being used as a demonstration tool for other community farmers involved in the project.